Ordinarily, you won’t catch me writing an item or story about a press release, or even based solely on a press release. In fact, I rail against such practices when it comes to clinical studies. One of the things I want to do on Embargo Watch is encourage a conversation, and that will hopefully mean frequent guest posts like this one from Brian Reid of 6 Degrees PR. That’s particularly true of subjects outside of my core knowledge of science and medical journalism. The heated discussion of the Laura Bush memoir embargo this week, for example, demands comment. With that in mind, here’s a guest post by Ira Stoll, my former colleague on the Harvard Crimson who now edits FutureOfCapitalism.com and is author of Samuel Adams: A Life — both of which you should check out. 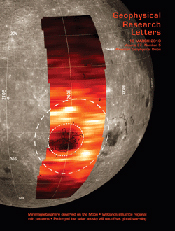 It’s not just science news where attempted embargoes can collapse. 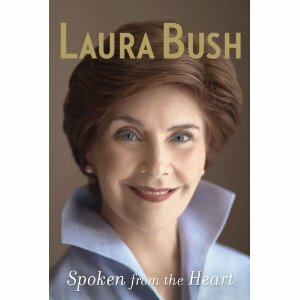 The book publishing industry has offered a vivid example over the past few days with Laura Bush’s memoir, Spoken From The Heart, whose official release date is May 4. Yesterday, Hannah Isom, of the University of Leeds’ press office, sent out a release embargoed until 6 p.m. GMT (2 p.m. Eastern) today. The release was about a paper in Geophysical Review Letters on how quickly melting icebergs were causing the sea level to rise. That seemed like a press release-worthy subject. There was only one problem: The paper (subscription required) was already online, listed in the journal’s “in press” table of contents. On your mark, get set, report! Should that be some journals’ motto when it comes to embargoes? A month ago, I noted a four-hour embargo at the New England Journal of Medicine. In that post, and in one that mentioned a nine-hour embargo at The Lancet, I wondered how exactly such short embargoes help reporters do a better job. Last week, I wrote about an a February 9 Budget Day embargo break by Global Edmonton that lost the network access to embargoed Government of Alberta material for the rest of this calendar year. This week, I came across a similar break at another Global station, Global Regina, in Saskatchewan. Due to what Global Regina is describing as a gap in its online training, the network broke the Saskatchewan government’s embargo when a story about the provincial budget appeared online about three hours before Finance Minister Rod Gantefoer began his budget address shortly after 2:30 p.m. In one of the first Embargo Watch posts, I wrote about a policy at the American Thoracic Society’s American Journal of Respiratory and Critical Care Medicine. Basically, the press can’t write about papers for two weeks while they’re freely available to any HighWire subscriber. Many hospitals and medical schools subscribe to HighWire, a Stanford University service that many publishers use to make electronic versions of their journals available. I found the policy unusual, as did some who commented on the post. Still, one potential advantage, you might think, would be that the journal could send out embargoed material a whole two weeks before the embargo lifts. That’s a pretty long embargo window, which would allow reporters to gather outside interviews and context for their stories — one of the most common justifications for embargoes. The US Institute of Medicine (IOM) lifted an embargo early this morning on a report calling for the Food and Drug Administration (FDA) to take a stronger stance on regulating salt in food.